This tax will affect all investment property in Hawaii – residential, commercial and agriculture – regardless of value. The impact will be felt not just by local property owners, but by the people and businesses who rent from them. The result will be higher residential rents and business leases and an increase in the cost of goods and services. The tax will NOT be limited to real property over $1 million dollars in value as the Legislature and those in favor of the tax wants you to believe. SB Bill 2922 does not specify the value amount, taxing process or any other specifics on how this constitutional amendment will be carried out. 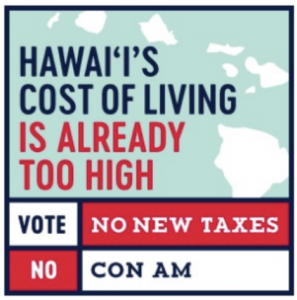 Hawaii currently has the second highest overall tax burden in the country and one of the highest costs of living. The amendment does not guarantee more money for public schools or that any additional funds will reach students or go to increase teachers’ pay. There is a legitimate concern that the Legislature could use the new funds to replace a portion of the close to $2 billion in general funds that currently goes to education and divert it to other priorities. Approximately $3 billion is spent on public education each year – 16.8% above the national average. 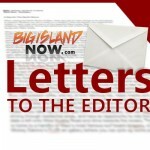 The Education Institute of Hawaii has found that the DOE’s expenditures of $2.9 billion lack fiscal accountability, making it impossible for the public to know how much money is reaching the schools. The Department of Education has not undergone an independent management audit since 1973. It is critical to understand how the current budget is being used before creating a new tax. The new tax will undermine counties’ ability to provide basis services like police, fire, park maintenance, road repairs, waste disposal and transportation services. Taxation of real property is currently the only exclusive revenue generating authority for the counties. We support our public schools, teachers and students, but creating a new tax that will increase the cost of living for everyone is a bad idea. New laws and source of funding are already in place to help improve public schools but the DOE has not yet implemented their intent. Act 155, 2013 SLH, creates a pilot program to allow underutilized DOE land to be developed for affordable workforce housing, including teacher housing, leased or sold to generate additional revenues for public education. Another law passed in 2007, Act 245, 2007 SLH, establishes a process for the DOE to impose impact fees on new residential developments determined to have an impact on public schools in the area.